Ashdene House01485 540395work Guest AccommodationThis comfortable bed and breakfast is owned and run by sisters Annette and Gill. It is on the edge of the Sandringham Estate, close to the RSPB sites and the wonderful beaches of Norfolk. All rooms are double or twin with en-suite shower or bathrooms. A baby/toddler can be accommodated in a travel cot, but the rooms are not suitable for a third person. There is a guest lounge with lots of local information, maps, etc. There is a garden for sunning or sleeping! A lockable cycle store and plenty of car parking space! We pride ourselves on serving good locally sourced food, even the coffee is roasted in King's Lynn. We were awarded a Good Breakfast award just a few weeks after taking over the house. We make our own bread, jams, marmalades and cakes. Special diets are not a problem. So, whether you're here to bird watch, walk, and cycle or just relax we will do our best to make sure your stay is a memorable one. Ashdene House an ideal base for coast & country. 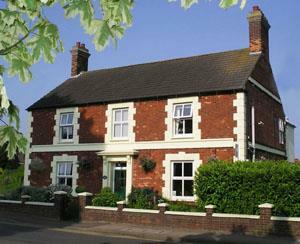 This comfortable bed and breakfast is owned and run by sisters Annette and Gill. A149 from King's Lynn. 3rd roundabout take B1440 Dersingham then right at lights - immediately right into Car park. From Kings Lynn - 8 miles. Regular bus service from King's Lynn main line station. Trains to King's Cross hourly.